So, the end product of decades of song-writing and life-experiences, is a massive back-catalogue of songs ready for production. Therefore, the band has a song catalogue of a thousand songs, hence as the band’s driving force, he’s decided that each Stomp City album, will be a double album! Michael's is the human condition, sometimes tongue-in-cheek, others an emotional tsunami of realistic emotive templates. It is anticipated that the band will perform at concerts for its growing, online fan base. The band will consist of Percussion, Keyboards, lead guitar, bass guitar and rhythm guitar. The Band's first video: Voyager was released on July 31st, 2018. The band will release another two singles from the twenty-four-song double-album, and another two music videos prior to the full album launch on Christmas Eve, 2018. The countdown is on for this enigmatic and prolific artist, Stomp City. The album promises to be a tour de force of Classic Gold rock! 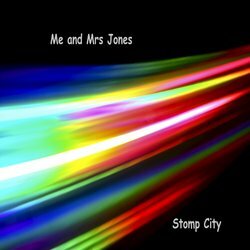 Me and Mrs Jones a classic by Billy Paul, sung by Michael Peters of Stomp City.